The cost of operating a truck averaged $1.69 per mile, a 6% increase in 2017 according to a report released Oct. 2 by the American Transportation Research Institute. ATRI said with economic activity improving in 2017, the cost of running a truck jumped in all of the major line-item areas, including driver wages and benefits, fuel, vehicle leasing or purchase payments, permits, licenses and tolls, repair and maintenance, and insurance premiums. The per-mile figure is up 10 cents from $1.59 in 2016. When ATRI began analyzing operational expenses in 2009, the cost was $1.45 per mile. Broken down hourly, the report said it cost $66.65 per hour to operate a truck in 2017, compared with $63.66 in 2016 and $58 in 2009. On a percentage basis, driver salaries, benefits and bonuses account for 43% of the cost of operating a truck, fuel is 22%, lease and truck payments make up 16%, and repairs and maintenance are 10%. Other costs including vehicle insurance, permits, tolls and tires make up the remaining 9%. The report said fuel prices rebounded in 2017 from decade lows, and the growing sophistication of newer truck models continues to push up costs for purchasing as well as repair and maintenance. The report breaks down the cost per mile in five regions of the country. At $1.735 per mile, the Northeast is the most expensive area to operate a truck, 4.5 cents above the national average. The West ($1.616), Midwest ($1.591), Southeast ($1.553) and Southwest ($1.536) have costs less than $1.69 per mile, but because of the East region’s higher overall cost of living, including wages and benefits, fuel and the more likelihood to face tolling, it is more expensive to operate trucks there and it pushed the national average up. Driver wages alone have increased by 33.6% from 2012 through 2017. The biggest increases we saw in this year’s analysis were in driver wages and benefits. In the past year, dozens of companies have increased salaries and benefits for drivers and technicians. Some trucking firms have added full college tuition programs for drivers and their families or other educational benefits, employee stock ownership programs and larger performance and retention bonuses, some more than $10,000 a year. Several companies have raised driver pay multiple times since 2017 to remain competitive, recruit drivers and retain those already employed. “Repair and maintenance costs are 10% of the cost per mile so, as we describe in the report, you not only see people are investing in new equipment that has more sophisticated diagnostics and it’s more expensive to repair and maintain. But we also know there is, like a driver shortage, a technician shortage, and we’re seeing that wage pressure for recruiting and retaining technicians bearing out in that repair-and-maintenance cost per mile,” Brewster said. Motor carriers submitting data for the report account for more than 9.4 billion road miles in a wide variety of industry segments and fleet segments. 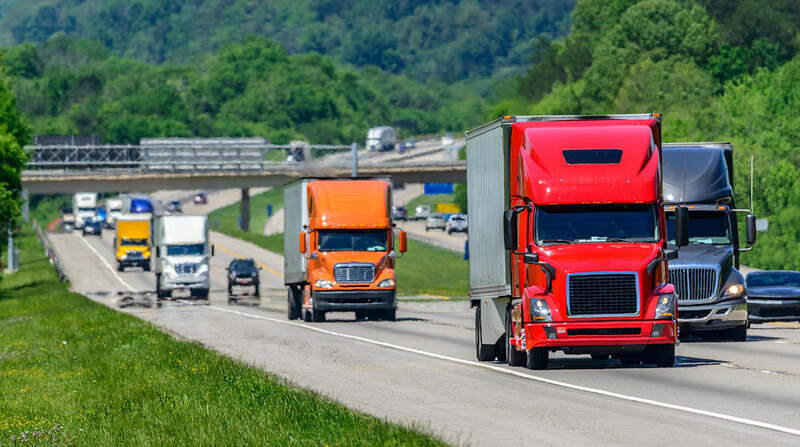 The report also points out that due to the highly competitive nature of the trucking industry and the sensitivity associated with corporate finances and expenditures the information was collected confidentially from carriers and is presented in aggregate form only. “All of the data that goes to this analysis comes from for-hire motor carriers of all sizes, owner-owners to 1,000 plus truck companies all across the company,” Brewster said. The compete ATRI Report, An Analysis of the Operational Costs of Trucking, can be downloaded here.